Such fantastical language seems fitting in describing the trio's music together, a selection of centuries-old tunes played on instruments – primarily pianos – assembled by McGuinness which are more than a century old, all given a dream-like contemporary spin by Skuse's laptop work. 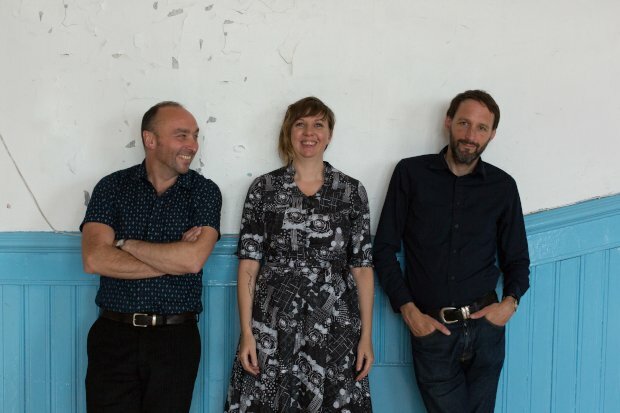 While Roberts and McGuinness were already working together, the latter heard Skuse's work on her very first day living in Scotland – a composition of hers' was being played by Mr McFall's Chamber – and asked if she would like to collaborate with them. Sneaky Pete's, Edinburgh, Fri 28 Sep. The album What News is out now. Scottish singer Alasdair Roberts teams up with Amble Skuse and David McGuinness to tour their recent album What News.